Television’s eye was on Barrett-Jackson, and it was an amazing show that unfolded for viewers. 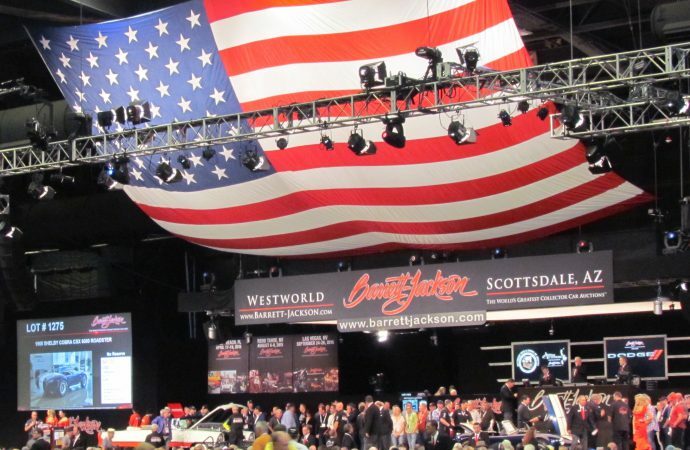 Television’s eye was on Barrett-Jackson, and it was an amazing show that unfolded for viewers. 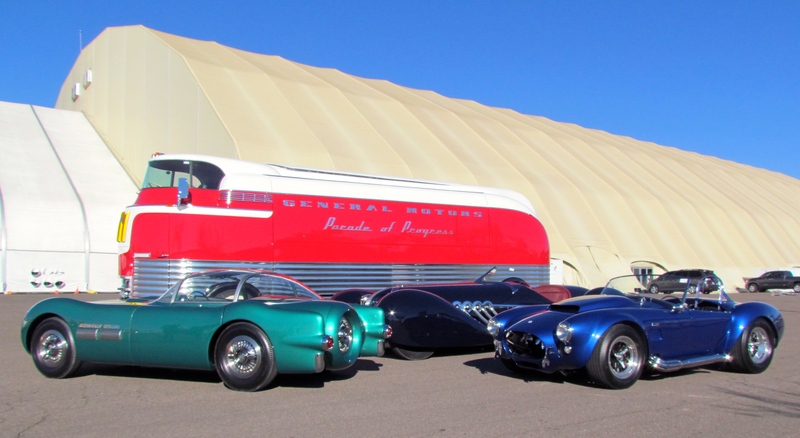 But WestWorld of Scottsdale wasn’t the only place in Arizona where classic cars were selling Saturday, and for strong prices. Barrett-Jackson led the way Saturday with more than $56 million in sales, but Gooding & Company did more than $26.2 million in business at its sale, Russo and Steele did some $8.4 million in transactions, and Silver Auctions added $2 million to the day’s total, which exceeded $93.3 million. Gooding & Co. and Russo and Steele also joined Barrett-Jackson in posting million-dollar sales of individual vehicles — at Gooding, six vehicles sold for $1.155 million or more Saturday, topped by a 1962 Ferrari 400 Superamerica cabriolet that brought $4.07 million — and Russo and Steele posted its only million-dollar sale of Arizona Auction Week when a 1957 Mercedes-Benz 300SL roadster sold for $1.43 million. Of course, Barrett-Jackson had eight million-dollar-plus sales Saturday when you include the 1966 Shelby Cobra Super Snake, which did not sell on the block but the transaction was completed immediately thereafter for $5.115 million. That was the highest sale of the day overall and the fourth-best of the entire Arizona Auction Week. Gooding & Co. concluded its two-day 2015 Arizona auction Saturday with $51.5 million in total sales. A year ago, Gooding’s Arizona sales totaled $48.9 million. Silver Auctions also wrapped up its first Arizona auction of the year — it returns in the spring and again in the fall — with $3.5 million in sales. A year ago, it did $3.1 million in Arizona in January. 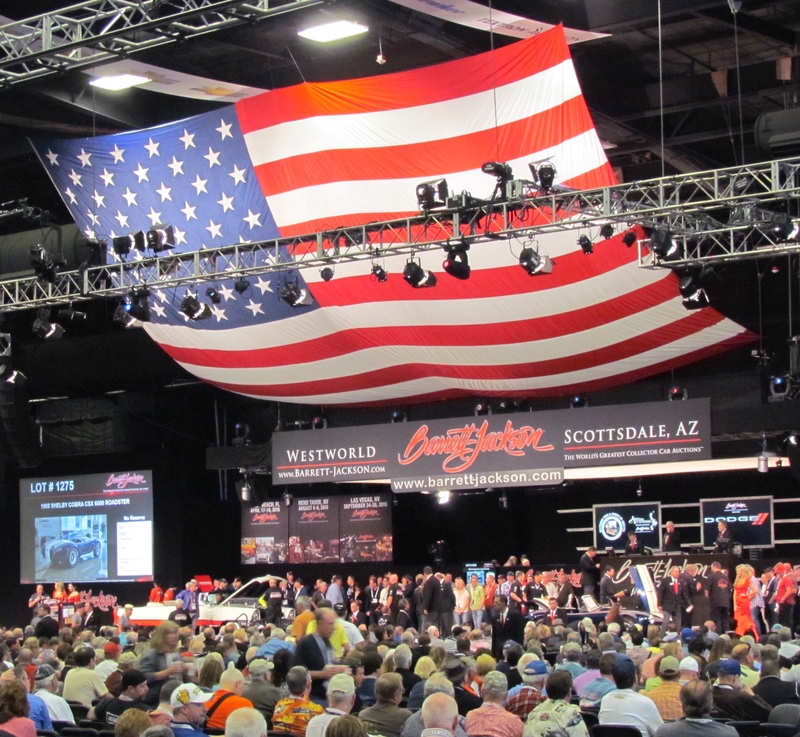 Barrett-Jackson and Russo and Steele conclude their sales today.